Woohoo! 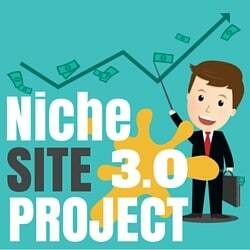 The time has come to get the ball rolling on Niche Site Project 3.0! This is going to be the biggest and best Niche Site Project ever…at least that's the plan. As explained in the previous post; Perrin, Jake, and I will each be coaching our own student through the process of building a niche site. So, we will have 3 public sites from 3 different “students”. As a result, even if you are not “the chosen one”, you will get to follow along and actually visit the sites and see the changes as we make them. Having said that, I'm ready to lay out the application process for those interested in being one of the three students. Before I jump right into the application process, I think it's important to explain a little bit of what is expected from each student should you wish to apply. Before you start following the steps I have listed below, I want to add some thoughts. First of all, if you don’t think you have what it takes to commit to this process, please don’t apply. Secondly, I'm personally very excited about this project, and I hope that you are too! If you are willing to commit to the process, then I think this can be an enjoyable project for everyone…and you might end up making some money as well. Must be willing to commit to recorded coaching calls via Skype or Google+ with Jake, Perrin, or I. (This means your voice and possibly video will be shared publicly). Must be willing to spend up to 10 hours a week working on a niche site and spending time with us for at least a couple of months. Time spent will likely decrease after the first 6 weeks or so. Must be willing to invest up to $500 on this project. Must be willing to share your domain publicly. Notice that I didn't mention anything about experience, background, age, gender, location, etc. We hope to choice applicants with a variety of backgrounds and experience…please just be honest with your application below. So, with those small caveats, let's move into the application process! You can apply starting…right now! Step 1: Create a short YouTube video explaining why you are the best applicant for Niche Site Project 3. In the video description, please reference NichePursuits.com in some way. Part of your Youtube video title must include, “Niche Site Project 3 Applicant”. Post your Youtube video on the NichePursuits facebook page here: https://www.facebook.com/NichePursuits. Please note that all of these answers, with the exception of question 5 are meant to be fairly brief. What kind of experience do you have building niche sites? How much money do you currently make from any online ventures? How much time are you willing and able to put into being coached, creating a niche site, and documenting your progress each week? What are you and expert in or what are you really good at? In 500 words or less, explain your dream business venture. Don’t be afraid to dream beyond niche websites. If you could snap your fingers and make it happen, what kind of business would you own and why? What is the Youtube link to the video you created for this application in step 1? As you can see, this application process is much more involved than last time (for NSP 2). To be honest, we are hoping to weed out the applicants that aren't willing to put in the time to create a video or answer the questions. Hopefully those of you that do apply and follow the instructions will be the best applicants anyway. You will notice that we are not having you apply to each coach individually. Jake, Perrin, and I will be “fighting” over which applicant we want the most. What's the Process After the Applications? All applications received by the deadline on Dec. 2nd at 11:59pm PST will be reviewed by Jake, Perrin, or I. This is going to take us some time, so please be patient. We will try to contact all applicants by Dec. 9th to let them know if they made it to the final round. The final round will be the top 10 applications. In the final round we will likely do a short skype call or some other final process to make a decision on who will be the 3 students. We hope to make a decision on the 3 new students by Dec. 16th. Niche Pursuits Readers Get to Help Pick Finalists! 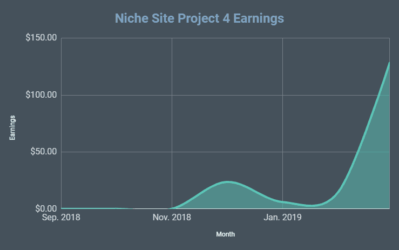 Part of the success of the last niche site projects was because it felt like a community project. I don't want that to change. For that reason, each of you (even if you don't apply) will have an opportunity to pick a couple of the top 10 finalists! I will provide more details once the applications start rolling in, but basically, we will be taking a poll to find out the top 2 favorite application videos submitted. These top 2 applicants will automatically make it to the final round of 10; where their chances of becoming the final student are greatly increased. You can start watching all the application videos by searching on YouTube for: “Niche Site Project 3 Applicant”. You can also watch the videos as they are posted on the Niche Pursuits Facebook Page Here. Upvoting on YouTube and liking/sharing on Facebook the videos that you think are the best will help Jake, Perrin, and I sort through and find all the winners must faster. Overall, in a couple of weeks, we will be posting our favorite 10 or so videos in a blog post, and then letting the community pick out their top 2 finalists. The application for Niche Site Project 3.0 is now open! Based on the amount of positive feedback I've received since announcing this new project, I fully expect that we will be getting some great applicants. This project should be a lot of fun, and hopefully a great learning experience for everyone that follows along. If you feel like you are a great fit for this project, please apply now! Oh and by the way, this is officially the 400th post on NichePursuits.com! About 5 years of blogging…I think I deserve an extra cookie tonight in celebration! thanks for such a helpful initiative. Even if I dont get chosen I will atleast know what is working right now for niche sites !! I love this concept. Great job on putting this together. I look forward to watching this unfold. I am very excited to see another Niche Site project! I have been following since your first Niche Site project and it is very interesting to see how SEO has changed into what it is today. Would be very interested in finding out the keyword research steps as well as how you plan to rank the site. Haha, sure you deserve a cookie. Really enjoy your posts especially on how to pick keywords and I think you deserve more than a cookie. Thanks Spencer. On to the application procedure. Yh, this application is really involving and it’s a nice way to pick die-hard students who really want to make it. Thanks for reading all the way to the end of my post :). Glad you have enjoyed the blog posts over the years. That’s great Spencer, we get the see the applicants and the selection process right from start. Also the readers have a say in the final selection .. cool!! Yep, it should be see how it unfolds. Wow, i can feel the excitement already! This is really going to be a lot of fun. I hope someone uploads his/her video soon (I hope we have a girl applying too)! Wow! Cant wait! Really looking forward to nsp 3.0!! Can’t wait to see who is chosen and better yet all the info that will be shared! Exciting stuff! The only thing that worries me is sharing my video on my personal Facebook. I’m okay with every other rule, but man, it’s scary to post a 3 minute long video on my Facebook and explain to all my family and friends what the video is about. Or even what a “niche website” is..
Any chance this requirement can be lifted? Interesting point you’re raising. I can totally see where you’re coming from, and I really want to give you some advice. I’ve thought long and hard about this one. As a wise man once said, Yolo. Yolo Danny! Ain’t nobody got time to listen to other people’s misunderstandings and unfounded critique. Live long, prosper, and kick @ss, Danny. Good point Danny. This was a bit of a discussion between us. I’ll remove it, as I can see who that could be uncomfortable. Its no longer a requirement! Hah, ok. Nevermind my previous post then! Sorry for the double post, but I’m unable to remove it. Yeah, I don’t feel very good posting on facebook also. I guess I would be okay on G+ or smth. I can see how you would like to be reached through facebook a bit more, but I don’t feel like using my personal fb account. Like I would like to keep some things in smaller, professional circles than to open them to everyone. Thanks Spencer, I appreciate it! I’ll definitely be submitting my video very soon. I’m very keen to enter this project, but I’d like to share some private stuff in my video which I’m okay with the general public seeing, but I’d like to keep away from my friend group. I know that posting on the Facebook page is likely to update a lot of them in my newsfeed – is it okay for me to post via my Facebook page, rather than my profile? Spencer, I know you have a lot on your plate already. How about creating a FB group for NSP followers so we can share our thoughts freely. It might open up a lot of people who are otherwise a vocal minority. We will be creating a private facebook group for LongTailUniversity.com very soon. I’ve deleted & made a new video (Actually, no joke, I probably made 100 new videos until i was satisfied with this one..) If you guys feel like I’d be a good applicant, please leave me a thumbs up. Hey Danny, I really liked your video! May not have great audio or splashy stuff but you came across as someone who really wants to be chosen for Niche Project 3. I saw passion, honesty, experience, and putting yourself out there in video for all to see. Most of all I saw how eager you were to be taught by one the coaches. Your respect and admiration for them showed through. A true, long time follower just wanting to prove he is up to the challenge. My 2 cents. Good job! Saving a vote for you! Best of luck. Wendy, you should apply! It sounds like you’ve got what it takes and should not let the video portion stop you. Go get ’em! Thanks for the “Go get ’em!” Emily. Yeah, why not! It will not be like the traditional video. It will be fun. I’m trying out my new software Camtasia and Snagit. Hope I can get it done by the deadline and I hope it will motivate Susan to go for it too. What do we really have to lose, nothing. We could be lucky enough to gain invaluable knowledge with these guys. It is at least worth a try in my books. Good for you Wendy! Can’t wait!! You never know unless you try! Make a great one!! Well, it did not turn out as great as I had wanted it to. I had to learn how to use Camtasia and it was a bit of a learning curve for me. However, I did make the effort! We will see come December 9th but I am not holding my breath. The other applicants videos are really well done. I did have someone comment that they bought Long Tail Pro under my video on Youtube. Was it because of my video that they bought? If so, that would make my day. Ha Ha Wendy I thought the same thing. No one wants to see an old woman on the video. I can’t wait for this to start as it sounds exciting! I’ve always followed your posts for quite a while now, but now that you’ve hit 500 (congrats!) maybe it’s time to do a new post for the newer followers of yours. Like where to start on your site? is there an order of the posts/guides to follow? Or a course which is upto date for now/2016? Alright, the rules are laid out… Let the chips fall where they may! Wow.. I just wish i could forward the time, i cant wait any longer. I would like to be involved in the project, but i want to stay back and learn from the three students. I would love to start studying with them, and succeed like them too, cos i know there success i inevitable. Sharing stats and $500 budget is all good…I just don’t think I’m going to have the 10 hours that would (and should) be needed (let alone hooking up skype calls from another timezone). So I don’t think I should put myself forward. I will however, be starting my own, very first “real” site along with you guys. I just wont have the pressure if I take a bit longer to catch up (due to current time constraints). Wish me luck! Good luck to your 3 new students! I thought my mom would be the perfect student for Niche Site Project 3.0, however, when I told her about it, she thought it was a scam. Not only that, she has no idea how to use Skype or G+ and she keeps her Facebook page private. Maybe, someday, I’ll have time to teach her how to start a niche website. I would apply myself but I am currently attempting (and kind of failing) to manage over 30 niche sites. I will probably start a new niche site and follow along with whomever you choose but I might fall behind. I can’t wait for this thing to get started! Ok, no problem. We do have some of those basic requirements (using skype, etc), simply so we can make sure this project is well documented for the community. I am super excited to hear you took parts of my suggestion to implement in choosing an applicant for NSP3. Part of me wishes you didn’t since I am not great at putting myself out there, but for those that really want it, they will do it. Kinda the point I guess. Regardless of what happens, I am super excited about this project whether as an applicant or as a follower of the project. Best of luck to everyone out there! Joe – I Really like your video. And your attitude towards this project. I wish you the best of luck! And hopefully you will make it. Hope you get a good student. I’ll be learning along this project. Thanks for such an inspiration project! Three niches, three sites, three coaches and three different strategies? This will be most interesting project you have ever delivered. I got your longtailPro Software and it is a great tool. If you are following Spencer, the least you can do is to get his software and put it to work! found plenty of keywords and especially long tail ones. This project may allow us to learn more about the LTP. Thanks Spencer. Without your Niche site project 1 and 2 I would never have been in this industry. Note that I do not make much from my websites, about 100 USD each a month, but I have 20 of these, so the money is just over 2000 USD a month. I shall read about Spencers and al in the next couple of months to increase my income for each of the websites and may be shrink the number of sites to 3 and increase the income from each. WoW. Great to hear about this. Let me apply right now. Willing to learn and bank more!! Congratulations for your 400 posts and for running the Marathon in less than 3 hours and 30 minutes! 3h:23 right? It’s an amazing time!! It’s very inspiring to see how much you can accomplish Online and Offline!!! I would love to see how well those Niches sites do in the First and Second year. I’m sure all of us can learn from those Strategies and Approaches! I think that having three teachers teaching three different ways it’s an excelent learning experience for all of us! Keep up with all the Great Work!!! Glad you are excited for the project! That’s great news! I was actually waiting for NSP3 for quiet some time now. 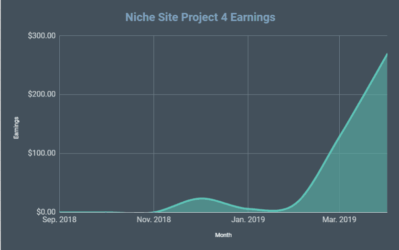 I built a successfull niche site based on NSP2 and I am thinking to build a new niche site so this couldn’t come any better. One quick question: when would be the beginning of the project? I will be away from keyboard due to a trip to NZ all January but I REALLY want to be picked. So before applying, I’d like to know if there’s any chance you’d pick me even if I won’t be available at all in January! The project will start near the end of December/early January. You could still apply as I’m not sure that is 100% a deal killer. If you are the best fit, we could start one site later. Awesome opportunity. I did have some questions though, especially since I’ve read the comments here. 1) Are the videos still being posted to Facebook? 2) Do we have to actually be in the video ourselves? Meaning, I don’t have the equipment to record a video (maybe my cellphone?) but I am able to create one online and upload to Youtube. 1. I would prefer you post the videos to the Niche Pursuits facebook page (not your personal page), but its not that important of a requirement to apply. 2. No, you don’t have to be in the videos. I love this project. Great job on putting this together. That’s great news! I was actually waiting for NSP3 for quiet some time now. I am thinking about building a niche website, then NSP3.0 comes. That’s so great!!! I am ready to follow it. Although I am not a native English speaker, I’ll try my best. I am eagerly waiting for the results. Lets see how far and ahead I can go. Thanks for the opportunity to be coached by you guys: Spencer, Perrin and Jake. * Someone commited and hungry for success. * Insights on marketing to foreign, unexplored niches. * A business model that has not yet been featured on Niche Site Projects, i.e. Lead generation for offline business. See https://www.youtube.com/watch?v=he7XZXRLGE0 for my application. Like the video if you want me to be picked! Thanks Marco, we will be reviewing all of these soon! Hi, Looking forward to this whether I get chosen or not. I will be following and “doing”. Time to hit that magical $2k to $5k+ in the next 12 months. Hi, Spencer, this is really cool contest I ever seen. Recently I’ve started my another niche project by following few tactics with $1.5k budget. So I will not apply for the contest. But I will miss it. I must follow the project tutorial as I am doing always as you are one of my legend in Affiliate Marketing sector. Hope we can learn something better. Just waiting for the niche site project 3.0. Best of luck Boss! I like the new announcement for the new niche site project even though I realize I may not be a good fit as one of the primary students. I like the fact that you will broadcast the projects from beginning to end and help the community to understand the process for free giving anyone with the will and persistence to follow you, a chance to do the same. The value in this is so huge readers, he is giving away exactly what he is doing step by step and all you have to do is walk with him and you too can create your own results. good bad or indifferent you will create a result and learn from it. I hope you put a call to action for all of us watching and learning along with you to take up this challenge and make it happen along with you. While I propose this I realize that all the case studies and training will be of the 3 dedicated projects and students. 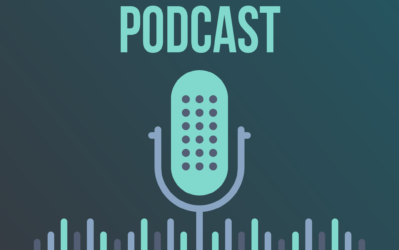 If you created a series of either blog posts or an area to show and discuss down the road community subscribers results, this would make this so much more powerful than just watching a few chosen students work it, but to show what your listeners were able to do without active coaching and on their own. I know that if you would consider this there would be a selection process to find those additional students. I also understand that besides the fact that only three of us will be picked for the project we all who are following along with you have to meet your basic requirements, $500.00 to invest, time requirements etc . and if a reader who you are not show casing can produce a result that you can demonstrate, it does not take away from the three chosen but adds fire to what they are volunteering to teach us all. If I followed the post right the chosen few are investing their own money and time but, they get the coaching and are creating the material you will be teaching us with through their results. The reader at home has the same burdens of following this process and the same access to what you teach minus direct coaching. Why should, people who are dedicated and following the same guidelines, not be given the saame chance to show what this project is going to do indirectly through study and implementation of it as evaluated by you toward the end of this project. Follow along take the same risks and possibly win a chance to show what you were able to accomplish too. We are all students of you Spencer, if we follow you and do what you say. Why not blow this project away by upping the anti and engaging us all to create a blow away project ?, you have proven you can teach this subject, why not prove to everyone that follows you, that they can do the same and not just giving it lip service but by proving it with some additional community proof. Thanks for the thoughts and idea Larry! Hey Spencer! Can I apply with a buddy? Or is this a “1 person per team” kind of contest? It is a great opportunity and definitely i will apply.I am concerned over skype calls through different time zones.Skype calls is not an issue but for non US residents will you schedule flexible time for calls or it will be a fixed every time. What the good article,, thank`s for your information,Mr. Spencer.. I was wondering about the $500 investment, for what it will be used? 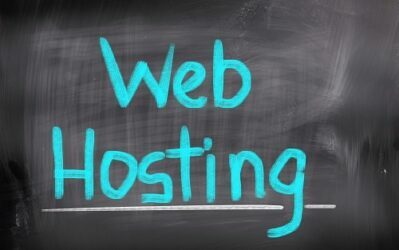 Beside the web hosting, I mean. It could be used for writing content, logo, plugins, link building, other marketing. Hi Spencer. I loved the first two projects and am eagerly looking forward to #3 (x3). Will you do a pay-per-click site in this version? I’m not sure where it will end up; however, I would LOVE to add that as an element. We’ll just have to see what niches the students/coaches pick. OK.. I am kinda getting hooked on the Niche site case studies. I am new to your site but a look to information to digest, but so far I have learned a lot. I hope one day I may become a student for coaching.. Thanks Kenneth for following along!! Oh.. by the way.. Thanks for providing a site to have my articles written. I have a few writers but I wanted to find more professional writers and your hints helped me get exactly what I needed..
Hi spencer, im really beginner. I want learn make money blogging from you. Maybe i will make videos youtube try this apply. Thanks spencer. Great to hear about this. Let me apply right now. Willing to learn and bank more!! Better late than never! I’ve tried to approach it from a different angle, hope you like it! Well, learning Camtasia in an afternoon just cut through all the fun I was going have. Anyway, I got my video completed without pulling out all my remaining hair. Yikes! What a learning curve that was but at the same time I learned something new today and that made it a great day. Thanks, Emily and Susan for the nudge. I challenge you to do the same. Come on…anybody could beat my video! Thanks Wendy for putting in all the effort!! Whew that was a close one…what a wonderful opportunity this is. Thanks to the NP crew! Hey Spencer, I just now saw that you’re doing Niche site 3.0. Is it too late to apply?? I have applied for Niche Site Project 3.Love to be a part of your team.As you mentioned in your post that “We will try to contact all applicants by Dec. 9th to let them know if they made it to the final round.” I have not been contacted so far,received your email on 9 Dec’15 about the video finalists, so does that mean i have not made it in the finals or the decision is yet to be made. correct. My apologies for not contacting you. This means candidates list for the other two finalists has also been made. Congratulations to the selected candidates. Very informative and well written article. Its really very helpful to me. But Unfortunately I am not be able to part of it. So glad you’re doing Niche Site Project 3! Project #1 played a big part in helping me build my first successful Amazon sites. 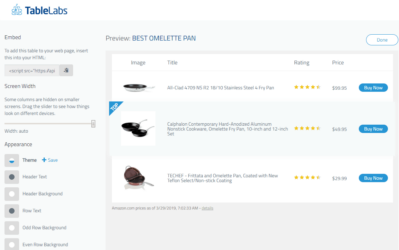 I even developed my Ultimate Azon Theme 100% based off my most successful Amazon site that I built along side Niche Site Project #1. You’re gonna raise the bar for niche site case studies with this one for sure! Can’t wait to follow along. Best of luck to the three students and all who participate!